Cywain Fisheries, a groundbreaking project to boost the fortunes of the fishing industry in Wales is leading the way among its European counterparts bringing security and jobs to the sector. Set up in 2011 by Menter a Busnes, and jointly funded by the European Fisheries Fund (EFF) and Welsh Government, Cywain Fisheries helps the fishing sector add value to primary produce and developing new products or markets. Its package of support, and the way in which it is delivered, has been lauded as unique with no comparable scheme available anywhere else in Europe, and as such has the potential to act as a sectoral hub for all types of fisheries development activity. Specifically tailored to the needs of individual businesses and organisations, the project places great emphasis on collaboration to achieve its goals. 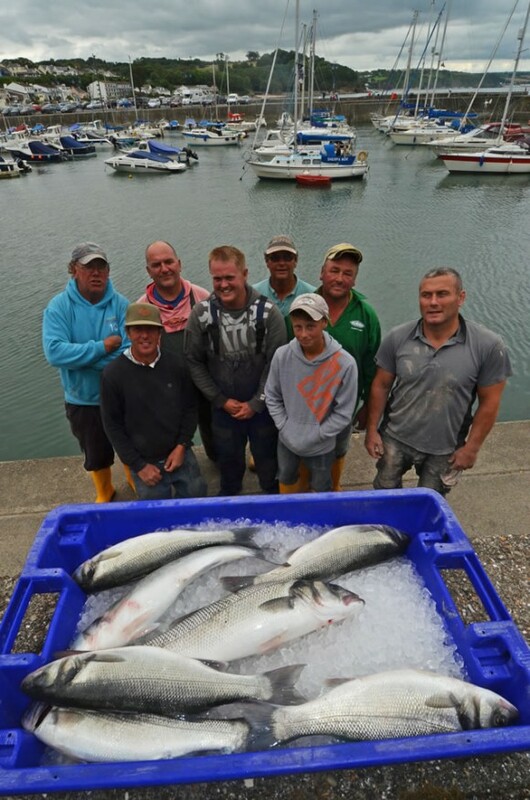 Ranging from fishermen and aquaculture enterprises to processors and fishmongers Cywain Fisheries has to date worked with 60 clients the length and breadth of Wales. This has resulted in the creation of 55 new products and 59 new markets, while some 20 new jobs have been created and a further 63 jobs safeguarded. In addition there has been a collective increase in turnover reported to date by 24 companies of £1.23 million. Deputy Minister for Farming and Food, Rebecca Evans will today (July 2nd) attend a showcase of Cywain Fisheries’ success across Wales and receive the findings of an independent report into the project. The independent evaluation was carried out by the experienced evaluators the Rural Development Company Ltd, and identifies several key factors in the project’s success. Support is delivered in two main ways – facilitation and specialist mentoring – with the central approach being that of catalyst and strengthening the client’s capabilities and confidence. A bespoke one-to-one method is adopted with clients receiving assistance pertinent to their particular needs. Projects have included assistance with branding and website development, market research, and tailored guidance. Activities have also included attendance at festivals and food events such as Pembrokeshire Fish Week, the Royal Welsh Show and Menai SeafoodFestival, and fact-finding visits to events including the European Seafood Exhibition in Brussels, Billingsgate Fish Market and more recently a study tour to Cornwall. From a consumer perspective Cywain Fisheries has produced marketing resources to promote the Welsh fishing sector – including guides to Welsh seafood and recipe cards – to help businesses inform their customers about Welsh fish. Building links is an important element too with strong relationships established with other supported projects and organisations including Fisheries Associations, Seafish, and the Fisheries Local Action Groups (FLAGs). The report’s launch will be held at Dylan’s Restaurant in Menai Bridge, which through Cywain Fisheries has developed strong links with local fishermen. Case studies of Menai Oysters, Albatross Fisheries and wholesalers Mermaid Seafoods Ltd, all of who have received help from Cywain Fisheries will feature during the event. Says Alun Jones chief executive of Menter a Busnes, “We have a tremendously knowledgeable and dedicated team here at Cywain Fisheries who guide their clients every step of the way. Pembrokeshire based Albatross Fisheries source and supply fresh, high quality sustainably caught sea bass to local hotels and restaurants. The sea bass are line caught by a group of small vessels working together to ensure a good supply of product and ensure fair price to the fishermen. With Cywain Fisheries’ support the Narberth based venture has been able to set up and promote a tagging scheme, enabling the easy identification of its line caught sea bass as having been sustainably caught. A website has also been developed www.albatrossfisheries.co.uk which provides up to date news from the fishery as well as giving consumers information about sustainable fishing. Family run Mermaid Seafoods Ltd is the biggest fish wholesaler in North Wales. Llandudno based Mermaid, supplies fish and seafood to restaurants and hotels throughout North Wales as well as directly to the public. Manager Sonya Jones says working with Cywain Fisheries has increased their local profile and resulted in new business. Albatross Fisheries with their catch of line caught sea bass who are among the case studies highlighted by Cywain Fisheries. Launched in 2011, Cywain Fisheries is funded through the European Fisheries Fund with match funding from the Welsh Government. Cywain Fisheries helps the fishing sector add value to primary produce through developing new products or markets, with an emphasis on collaboration. The hope is that effective collaboration will assist in the creation of a sustainable future for the sector. The assistance available encompasses support through facilitation, expert advice and a quality mentoring service with a strong emphasis on adding value. The aim is to build the capacity and confidence of the participants in order to enable them to take ownership of the new venture and to encourage them to make the most of its potential. The project also provides a clear focus on the needs and desires of customers.